There is no question that receiving orders that total $1.2 million from resellers over the past 30 days is an experience worth mentioning... over and over again. This has occurred for C-COM Satellite Systems Inc., (TSXV: CMI), a global provider of mobile, auto-deploying, satellite antenna systems. The company received $1.2 million in orders from the firm's resellers in Europe, South America and Asia. In fact, some of the orders have already shipped and the balance will be delivered before the end of November, 2016. Almost all of these orders are for C-COM’s new generation iNetVu® Ka-band series antennas, which have been certified for use on a number of HTS. 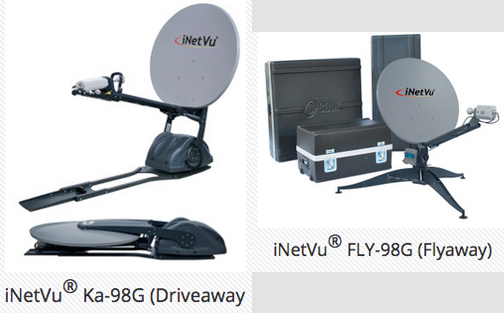 These antenna systems (Flyaway and Vehicle based) are fully compatible with a number of nexgen satellite modems and will be used in multiple vertical markets, including cellular backhaul, disaster recovery, broadcasting and government services. According to Leslie Klein, the President and CEO of C-COM Satellite Systems Inc., these new Ka- and Ku-band antenna systems are setting a new price/performance standard in the industry and are gaining worldwide acceptance by satellite operators as well as the firm's global partner network. C-COM’s newest antenna models are integrated with the most advanced iNetVu® controller technology, which has been field tested for more than a decade has more than 7,000 systems deployed worldwide.